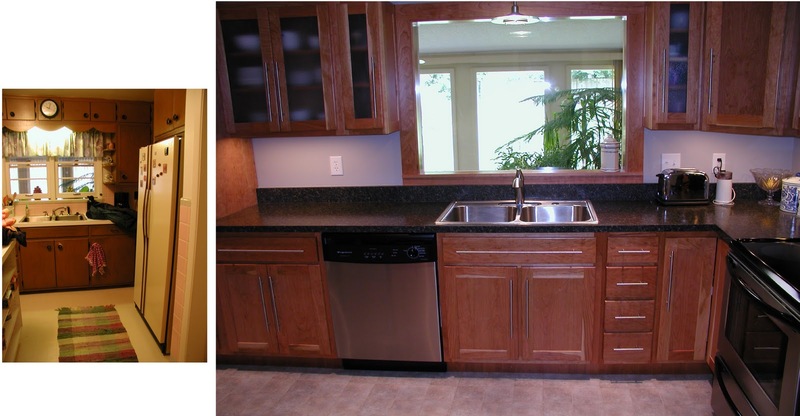 A pretty dramatic change from the old kitchen (built 1957) to the new. The cabinetry is cherry with stainless steel pulls. The counter-top is a laminate, but has an appearance of granite. It is notable that I enlarged the arched opening into the kitchen from the dining area. And of course I removed the pink wall tile. The kitchen had a much better layout by relocating the refrigerator. It is also notable that I replaced the double hung windows with a simple plate glass window trimmed in cherry. 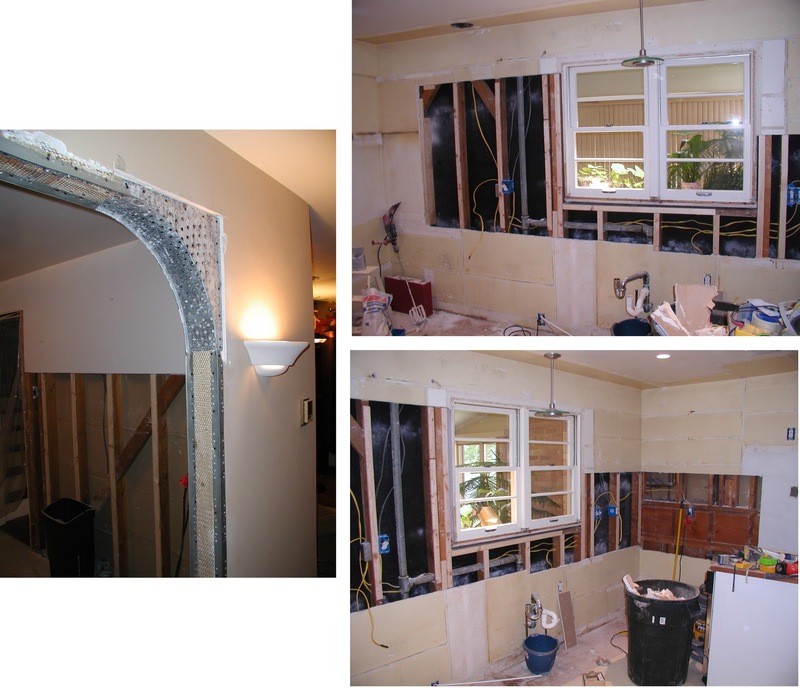 These images show the exposed framing after removing the pink wall tile. Interestingly the walls (built in 1957) had a half inch finish layer of plaster over another layer of half inch Sheetrock. The "new" looking pine boards are simply spacers over the old studs, in order to bring out the board for the new Sheetrock to match the finish surface.